NORTON---Judith (Judy) Ann Maisano, 76, passed away peacefully on Thursday, January 24, 2019, after battling Alzheimers and Dementia. Judy was born March 5, 1942 to the late Hugh and Nellie O'Bryan and had lived in the Barberton community all her life. She was preceded in death by her beloved husband of 32 years, Frank J. Maisano, sister Eileen Buza, and brothers-in-law Frank Smith and Paul Herold. Judy is survived by her children, Tracy Huston of Carmel, IN, and Kevin (Darlene) Maisano of Dublin; grandchildren, Brittany, Keaton, and Trent. She also leaves her siblings, Carolyn Smith of Akron, Tim O'Bryan of Las Vegas, NV, Pat Herold of Barberton, Marie (Art) Willey of Macomb, MI and sister-in-law Lena (Lenny) Beal of Clinton as well as many nieces, nephews and cousins. Judy will be remembered for her love of family, her eye for decorating, and her endearing sense of humor. 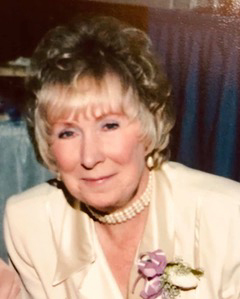 Our family wishes to thank Stacy and Brett Colgan, Barbara and Larry Lauter, Sandy and Dave Davenport, as well as the staff at Greenfield Estates Alzheimer’s Care for their loving care of our Mother. You will forever have a special place in our hearts.